The Second Vatican Council and the standing ovation given to Frank Duff as he tried to quietly enter the assembly as auditor was recalled by Bishop Brendan Kelly last weekend at the Legion of Mary’s annual pilgrimage to Knock. Bishop Kelly told how Cardinal Suenens described the 2,500 bishops rising to give Frank Duff an ovation and “the thanks of the universal Church to the pioneer of the lay apostolate” as an unforgettable moment. 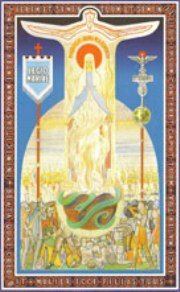 The Bishop of Achonry told members and friends of the Legion of Mary at Knock that in celebrating the golden jubilee of the Council, the Church has considered the Council documents and their effect. But he said the spirit of the Council was best recalled in that moment with Frank Duff. 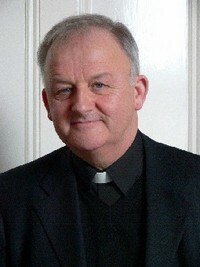 “It was an insight already being realised and thriving in more than half the dioceses of the world in the persons of the ordinary men and women of the Legion of Mary: the insight that the Church of Jesus Christ is the people of God, all together equally called to be apostles, and united together, clergy and laity, in being apostolic,” said Bishop Kelly. He emphasised the centrality of baptism and its gift and call to all, from the least to the greatest, who have an apostolate, different but equal. She said that numbers were up for what is the annual pilgrimage for the Legion of Mary. “Some of our groups here in Dublin who would have had one bus had three. There is a turning back to the Church,” she said. There were many young people present and they continue to be involved with the Legion of Mary. For example, the Maynooth College praesidium members are getting ready for new members for the new term and year ahead. They work among the students above all but also do visitation and college discussions. On the same weekend as the Electric Picnic, the Legion of Mary had a youth conference in Dublin and 250 attended. The Morning Star hostel for homeless men is currently being upgraded and the Legion members hope it will be ready to accommodate double the numbers (over 60) for Christmas. At the pilgrimage last Sunday, Bishop Kelly recalled that in his first years as a priest, he was impressed by a Praesidium of men who ran a night shelter for homeless men in Galway and how night after night they gave a roof, a bed and warmth, welcome and acceptance to those ‘down at heel men’. The Bishop also expressed a wish and a prayer that Edel Quinn, Alfie Lamb and Frank Duff will move forward in their journeys to be canonised as Saints of the Church.